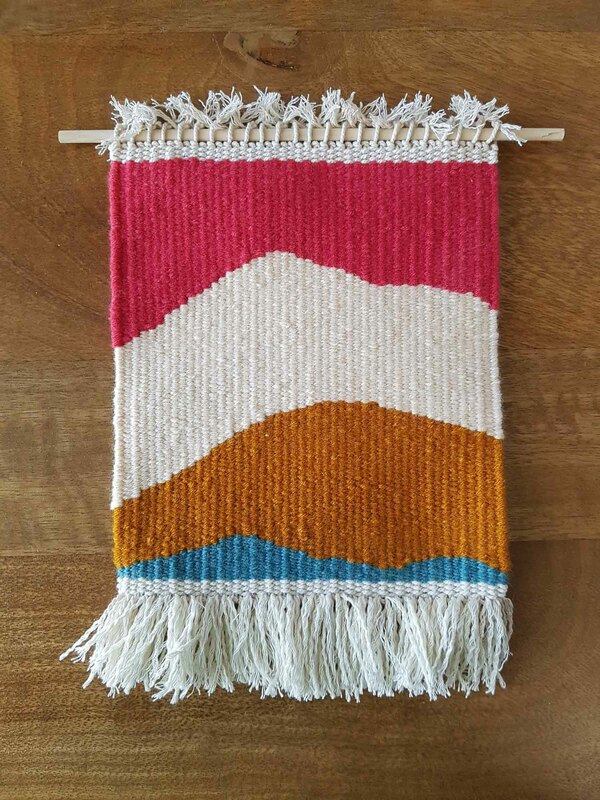 I have studied high-wrap tapestry (tapisserie de hautes-lisses – technique des Gobelins) in France, and brought my loom with me in the US. I continue learning through old books and by experimenting, but I rejoice in color blocks and quite flat designs. 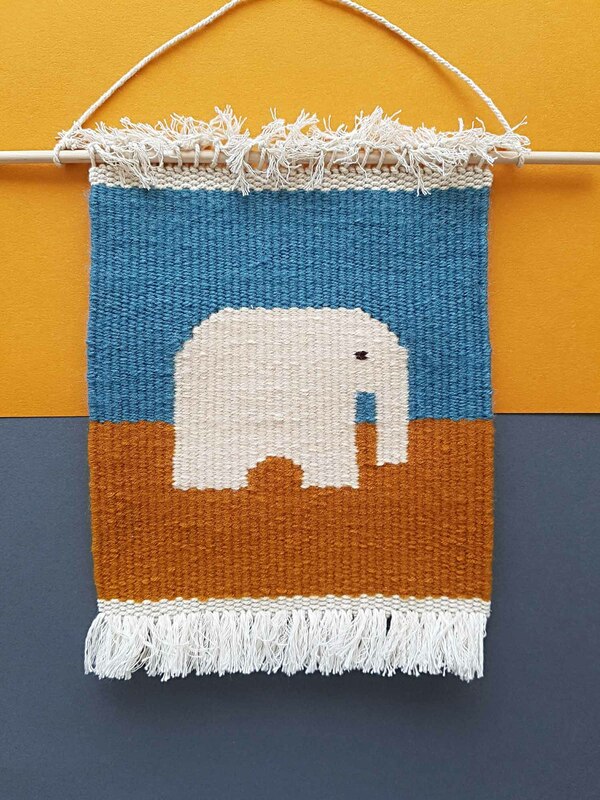 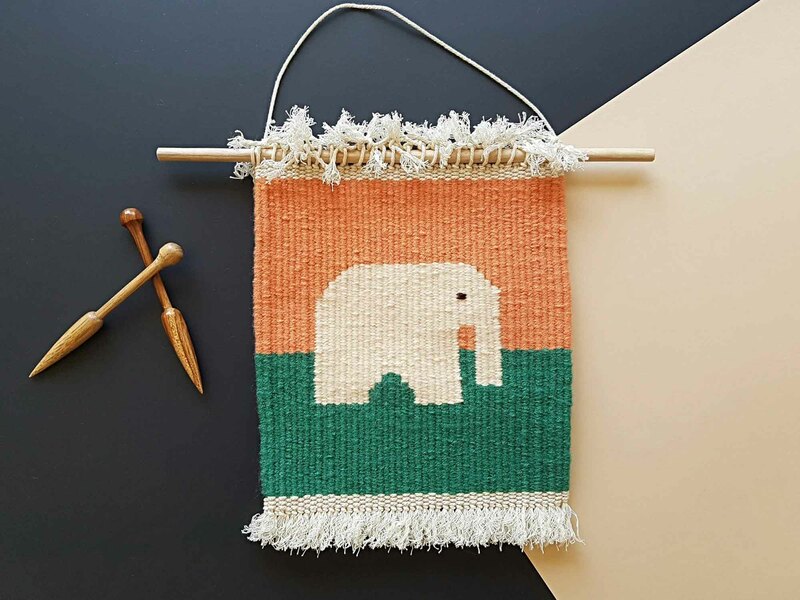 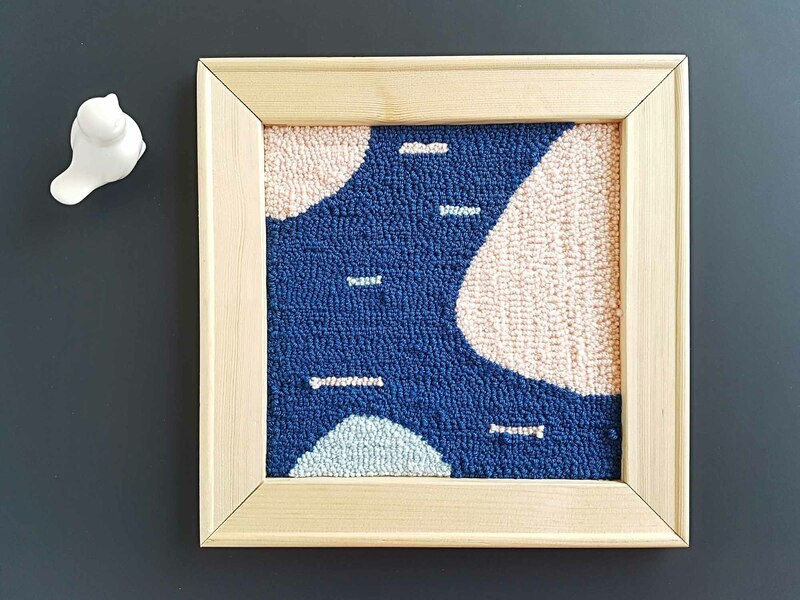 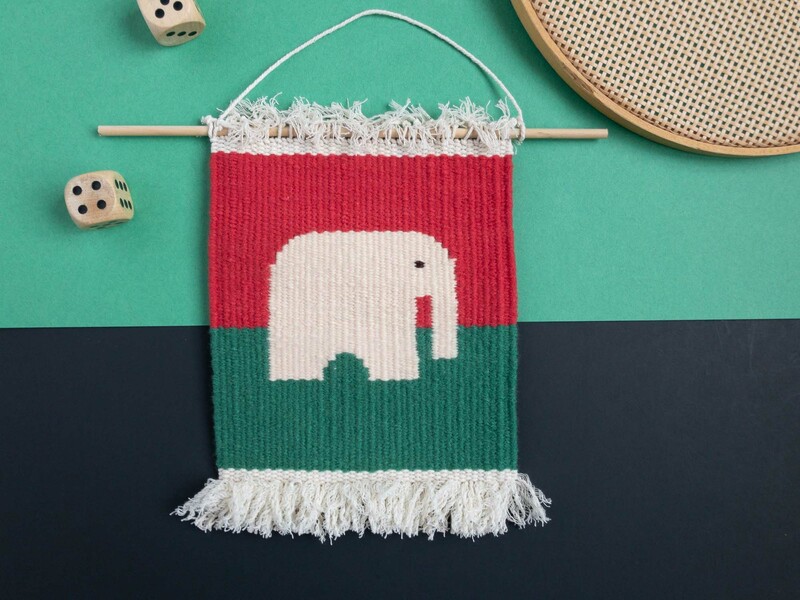 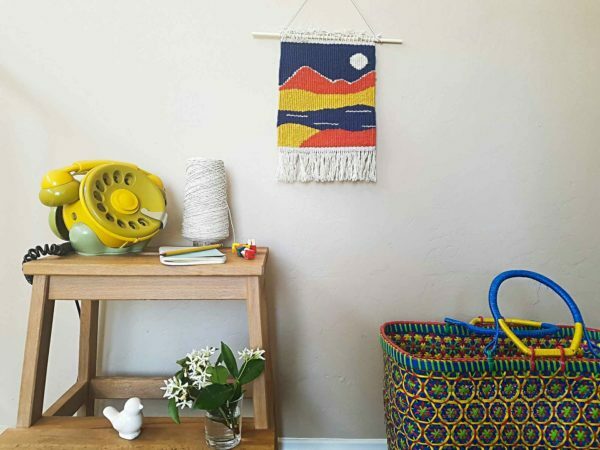 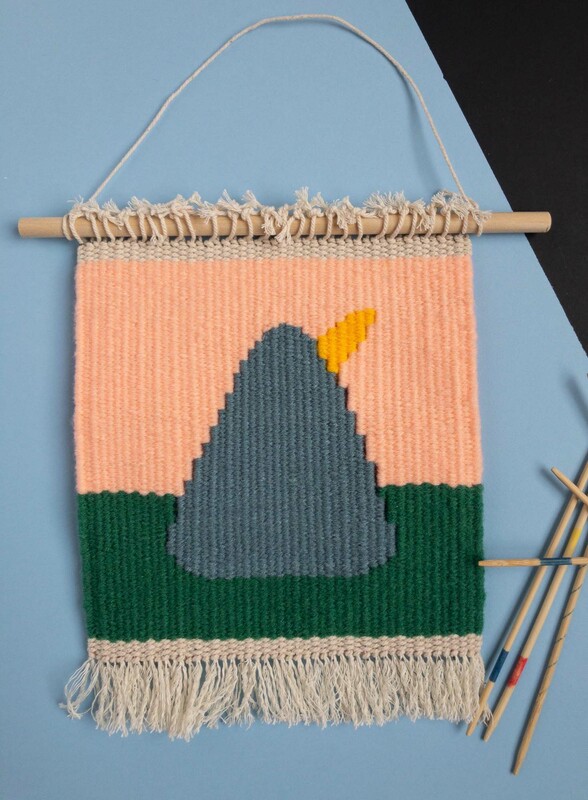 I mostly imagine and weave abstract wall hangings, and a funny little elephant named Poppi. 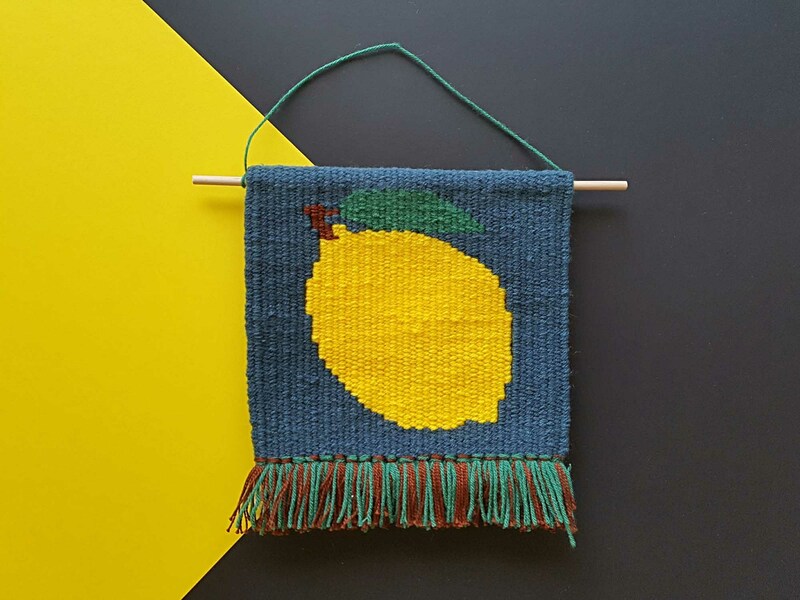 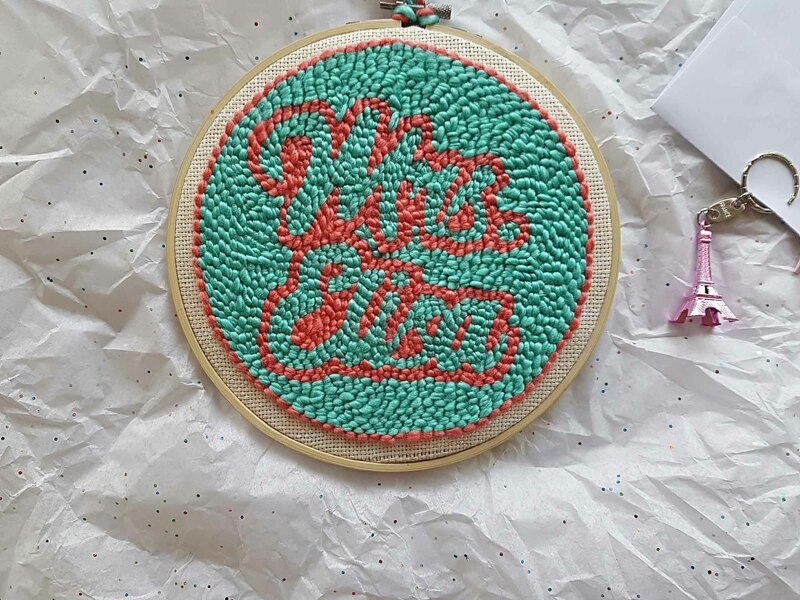 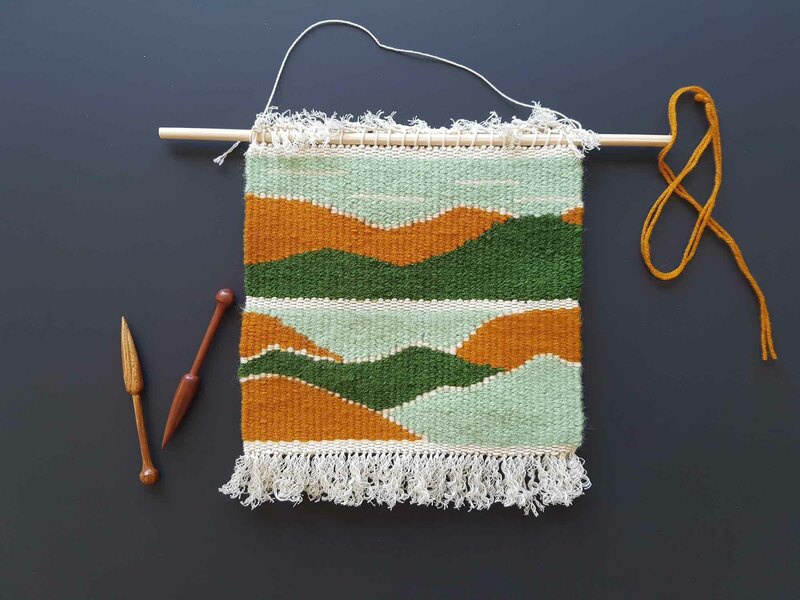 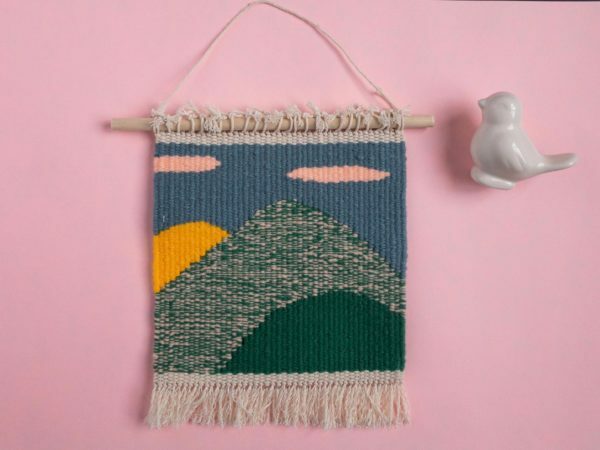 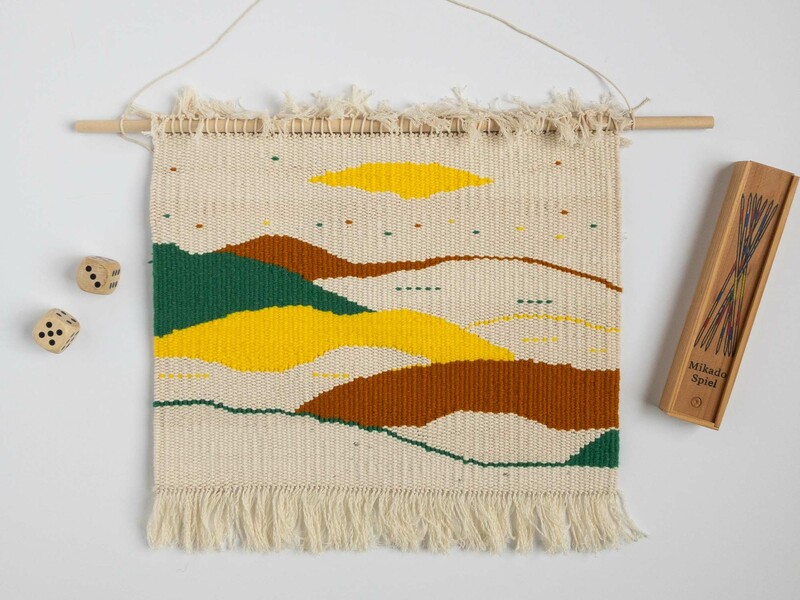 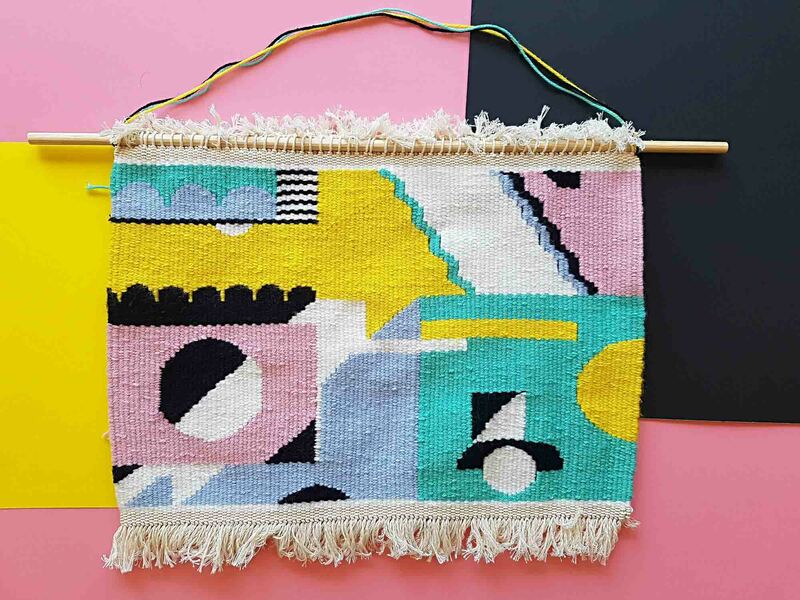 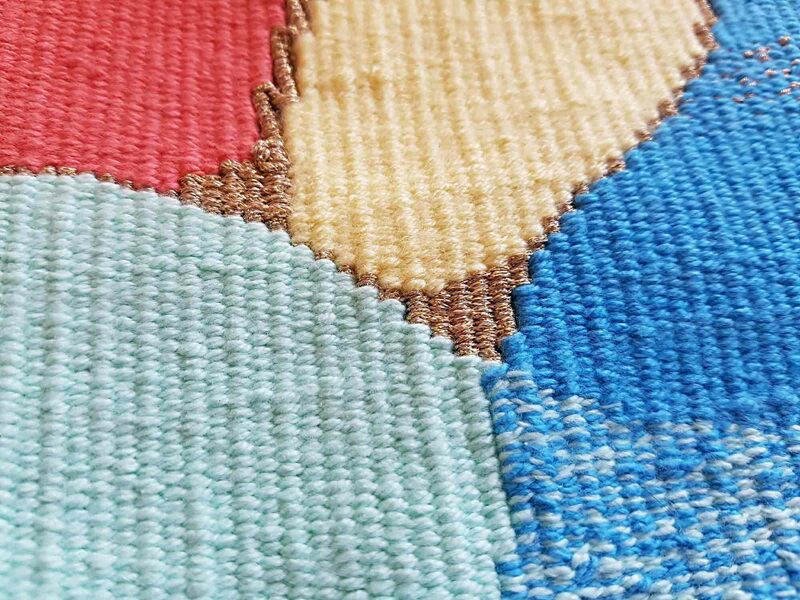 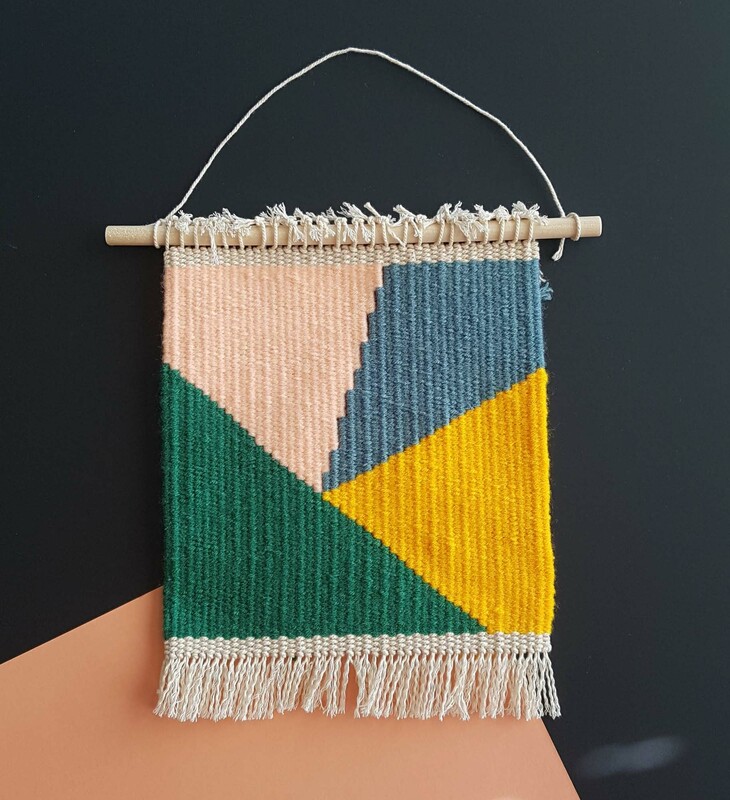 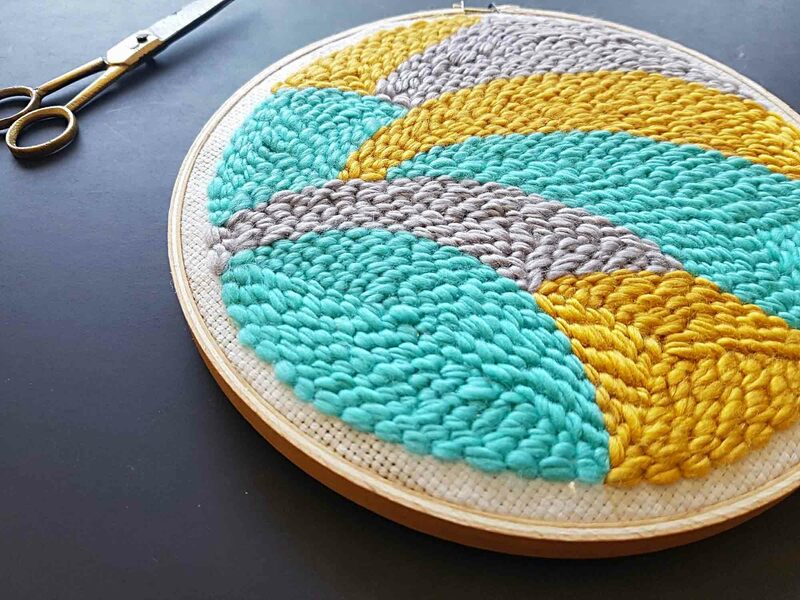 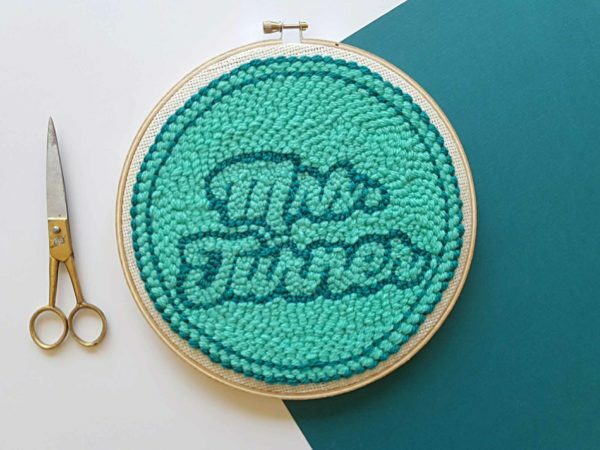 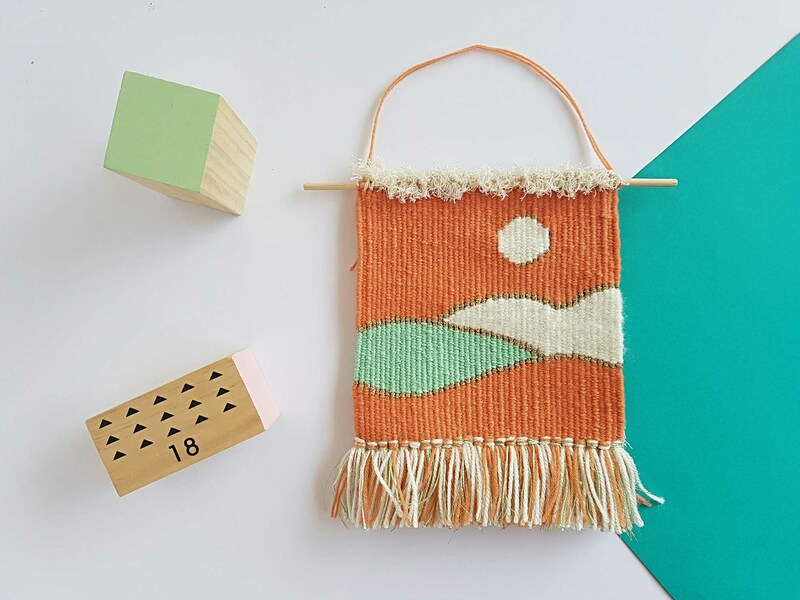 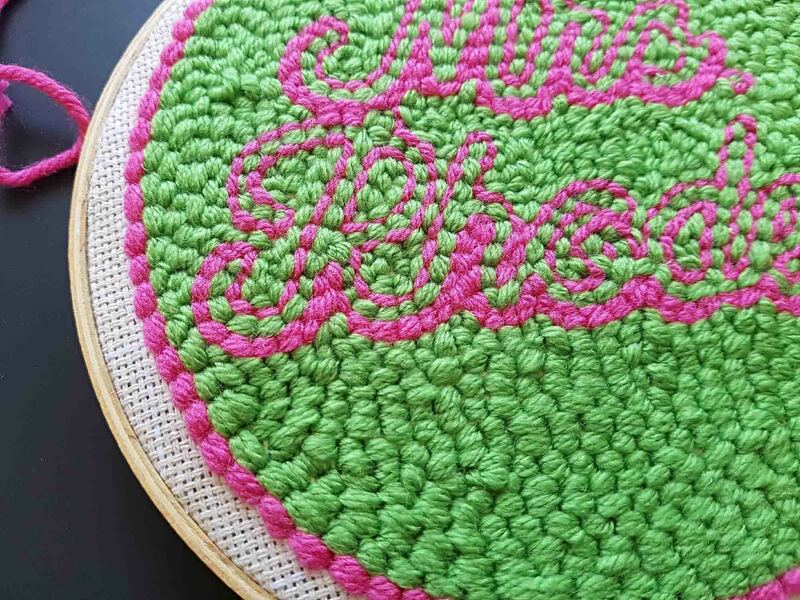 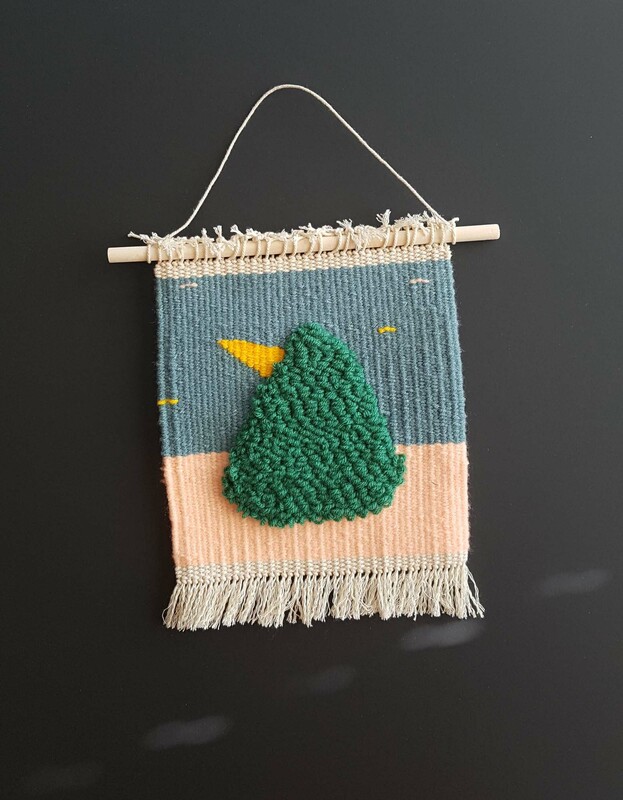 I recently tried the now again famous punch needle, which I find is a very fun technique, although I feel much more passionate about high-wrap weaving motions and sensations. Nonetheless, punch needling is a little less tedious than high-wrap, it broadens my mind and the rapidity of the technique compared to tapestry is definitely enjoyable, so I take punch needling as joyful tapestry breaks and experiments.